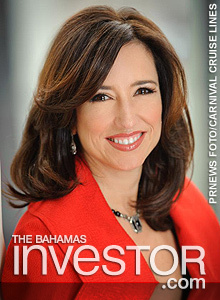 Carnival Corporation & plc (NYSE/LSE: CCL; NYSE: CUK), the world's largest travel and leisure company, today announced that Christine Duffy has been named president of Carnival Cruise Line, with 24 ships, making it the largest of Carnival Corp's nine distinct cruise brands. 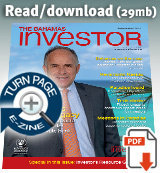 MIAMI, Dec. 17, 2014 /PRNewswire/ — Carnival Corporation & plc. (NYSE/LSE: CCL; NYSE: CUK), the world’s largest travel and leisure company, today announced that Christine Duffy has been named president of Carnival Cruise Line, with 24 ships, making it the largest of Carnival Corporation’s nine distinct cruise brands. Duffy has more than 30 years of experience in the travel industry and started her career as a travel agent inPhiladelphia at McGettigan Partners. As CEO of CLIA, the leading trade association of the cruise industry, she led many advancements including the globalization of cruise industry associations around the world to create a unified voice promoting cruising to key stakeholders from policy makers to consumers through CLIA’s more than 13,000 travel agency members representing over 50,000 travel agents. In this role, Duffy successfully engaged member cruise lines and industry stakeholders to support CLIA’s expansion into new and emerging markets around the world. Before assuming her role with CLIA in 2010, she served as president and CEO of Maritz Travel, the largest corporate meeting, incentive and event companies in the world from 2004-2010. Duffy serves on various travel industry boards including U.S. Travel Association (USTA), the advisory board for Starwood Hotels, and the Board of Directors for Visit Florida. In 2001, she founded Meeting Professionals International’s Women’s Leadership Initiative, which delivered research and programs to help women in the industry advance in their careers. She also is a member of The Committee of 200, an organization of the world’s most successful women business leaders that supports, celebrates and advances women’s leadership in business and works to ensure that women will continue to take on more significant and visible leadership roles. During his contribution in the House of Assembly last week Minister of State for Finance Michael Halkitis said he was "confident" about the team tasked to recoup outstanding debts in the region of $100 million owed to the government through delinquent accounts at the Bank of The Bahamas. Projects such as February Point on the Exuma cays reflect a growing trend of investment in the region, according to a ZNS Network news report. Watch the report here.